2D graphics kind of threw me at first, considering all the complicated, large file games out there. The hint button only works in the HO scenes, which forces you to use your mind. There is a map, thank goodness, or I never would have found my way around. I found this game a very enjoyable challange. Long play too. Good story line. Also, the music set the mood well without driving you crazy with it's repetativeness. Beautiful and realistic graphics. It's as if you are walking through Old Salem. Great, interesting storyline. The only thing I didn't like about this game was that there was too much running back-and-forth. Otherwise, I thought is was an excellent game. The graphics are near photo quality. The HOS are reasonable. The map shows sparkles where there are HOS. The story is OK. I found the game to be very enjoyable and easy to get immersed in. I know this is not a new game but I just finished it. It is an awesome game. 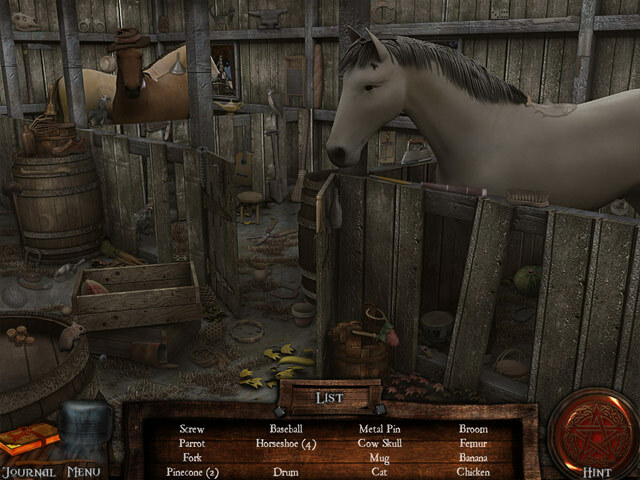 If you like adventure/hidden object games, you will love this game. 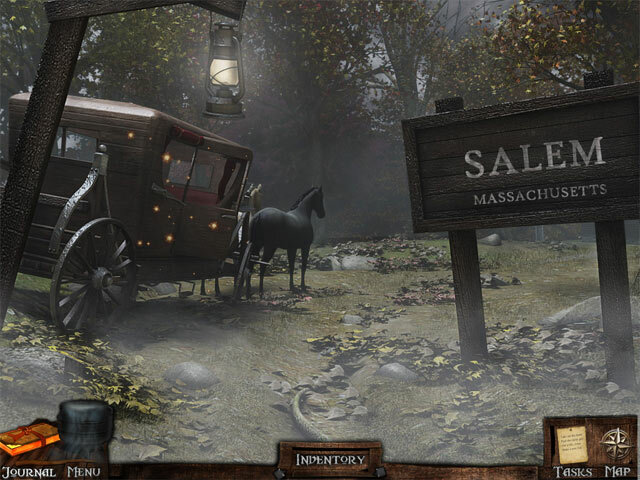 Graphics are excellent (2D) and present a terrific atmosphere. I never listen to music so I can't comment on that. There is a terrific back story told by the "journal" in-game, the game map has excellent little clues about where to go next and what to do. Puzzles are definitely challenging and engaging and the "task list" gives you subtle hints about how to achieve each task. The game is quite long and just very, very enjoyable. A ten-bell-er. Highly recommended. The Salem Witch Trials were always an interesting period in history for me, so that's what initially drew me to this game. The scenery and music were eerie and the puzzles were challenging. The one problem I had was that the end was rather anticlimactic. I have played this many times. The first time I found it challenging and confusing but the more I played it the more I liked it. The story is interesting and the characters are important to the game play and it does have a logical conclusion. Each time I play it I find some areas a challenge still and it makes my brain work - to me that is one essential of a good game. 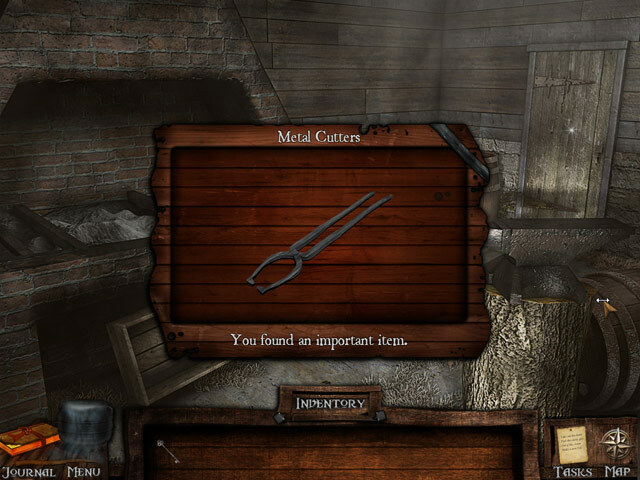 There is a good mix between HO's, puzzles, and working out how to use the inventory items. Hey folks if you like to be immersed in a game where you can actually "feel" like you are contributing to the game, this one is a great way to start. I love the Hidden Mysteries series, I do believe I have purchased them all!!!! This was a very good game with a story line that, at least, tied together a reason for following the action. The Hidden scenes were mostly light enough to actually see the objects, even if you needed a hint to find it. The Hidden scenes and the backgrounds were very well drawn and a pleasure for the eyes. The game has a type of built in guide that means no walk through is necessary. The only negative would be the poorly conceived and poorly conducted mini-puzzles. I think I only bothered with two of them and skipped the rest. A couple may have had solutions, but with the sketchy instructions I couldn?t figure out what the point of them was. Just plan on skipping them until this company gets better puzzles designed. Still I recommend the game for the hidden object and adventure portions.